They say thirty is the new twenty and I’m all for it. I personally have never felt better than I do now, but I am noticing changes in my skin that have kinda bum me out. From texture to dullness and uneven skin tone, these are things that make me wish my skin was twenty-five again. My medicine cabinet is equipped with an arsenal of skincare products to help combat my biggest skin nuisance, texture. If I don’t exfoliate often texture comes creeping back into my life and makes me want to hide in bed forever. From drugstore to luxe, below are three awesome hard-working, yet gentle, all-natural masks that will make your skin glowing like your twenty again. Time-saving products are always winners in our books and this all-natural facial scrub and mask by Australian brand Dr. Roebucks, is both gentle and effective at keeping skin smooth. It contains biodegradable jojoba beads and Kaolin to remove dead skin and exfoliate. White tea protects skin from harmful bacteria and is used as an anti-acne treatment. Acne or not, this product is suitable for all skin types. A bit on the pricer side and definitely splurge at $78 for 30ml, I love Tata Harper nonetheless for her quality skincare products. Plus I had a chance to meet and shop with her and she’s such a cool down to earth person! 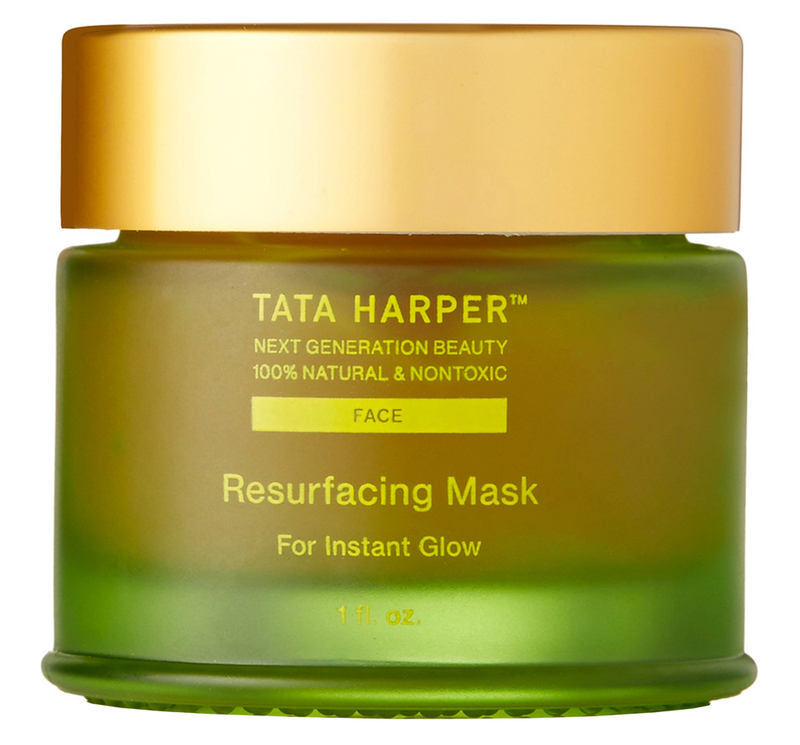 This mask has been branded ‘Best of Beauty’ by Allure Magazine in 2017 and with reason. It’s all 100% all natural and non-toxic and suitable for all skin types. This mask will leave your skin feeling fresh and new, getting rid of dullness, uneven skin tone and texture, roughness, and refines pores. It’s formulated with naturally sourced BHA, antioxidant-rich beet extract, and willow bark and meadowsweet, two natural sources of salicylic acid to smooth and refine the skin. Use a soft organic cotton washcloth to remove your mask and gently buff the skin. Make sure it’s damp and focus on any areas that need more love where dead skin cells have accumulated.